As a fast growing and a top mobile application development firm, Technoviewer has vast experience in creating the desired feature packed native mobile apps for majority of the mobile platforms. Our clients choose us for their customized mobile app development needs. 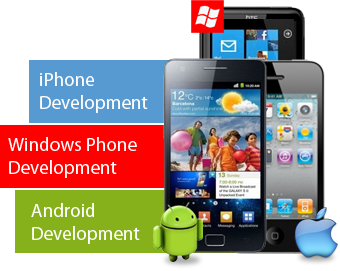 The mobile application development process is a very challenging one. Consumers and businesses are accessing the internet using their phones and tablets. Today, customers and corporates want out of the box and pioneering mobile apps that provide superior usage experience. The times are challenging for the mobile app development industry, but it poses various opportunities as well. Technoviewer realizes these opportunities and provides best in the business mobile app development services to its customers. Apart from these, we also provide strategic consulting services, mobile optimized websites, mobile application design and architecture planning and converting the present websites into be mobile optimized. We develop autonomous mobile applications which overcome mobile development challenges like hardware performance limitations, instrument diversity and screen resolution. At Technoviewer, we test the mobile app using emulators and finally field test them, before providing it to you. Hence, the quality of the mobile app is world class. We thoroughly understand your requirements after a comprehensive evaluation of your IT requirements and business model. Whether it is hiring a mobile app developer or creating your customized app, we can do it all for you.